Lawnmowers can cost anywhere between $55 and $5500. But as a homeowner, you want a mower that gets the job done, without breaking the bank. After conducting extensive research and considering readers’ feedback, we have compiled a list of the best lawn mowers under $300. If you’re on the market to buy an affordable yet reliable mower, the overabundance of available products might frustrate you. But we have done your bidding. 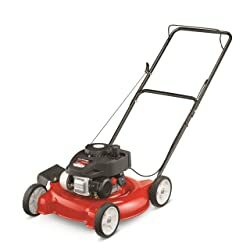 We have done extensive research to compile a list of the very best mowers that cost less than $300. So, don’t miss out on these amazing products. Will stop functioning if thick sticks get into the wheels. 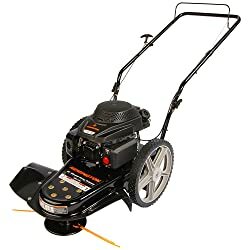 American Lawn Mower is a reel mower which does not have engines. While it will need some extra effort to be pushed but it also doesn’t make noise or produce emissions. The only sound you will hear is a quite snip when the mower moves. You will find your lawn greener and healthier after using American Lawn Mower. It has a sharp knife blade and tempered alloy reel made of steel. Beneficial features of American Lawnmower include easy-to-roll wheels and sharp spinning blades that offer maximum adjustability. The width of the cutting blades is 14 inches with 1/2- to 1-1/2 inches cutting height. You can easily get clean, scissor-like precise cutting of the turf grasses. It also works best for winter season rye, bluegrass, and fescue. 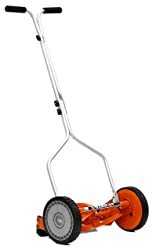 Fiskars reel mower lets you mow your lawn without the trouble of gasoline, battery charging, oil, the loud noise of the engine and electrical cords. Advanced technologies used in these reel mowers produce sharp results which are 40 percent better as compared to other mowers. Cutting power is also very good as it cuts weeds, tough spots, and twigs, which are often trapped in other types of reel mowers. The downside is that you have to put a lot of physical effort, especially if your lawn is uneven. The sharp cutting system is made up of hard steel blades which results in less friction. It has long lasting performance and does not need blade sharpening every year. 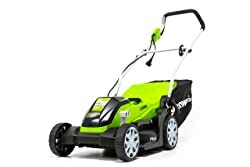 It has superiority in ergonomics for delivering the best cutting performance and one of the best lawn mowers under $300. 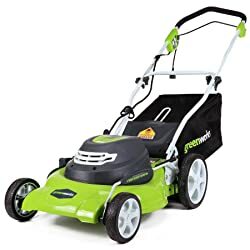 Greenworks lawn mower has durable steel deck of 20 inches, with a powerful motor of 12 amperes. Rear bag, side discharge, and mulching make the Greenworks a versatile mower. The single lever makes height adjustments easy, and the mower can work in seven different positions. It has a manual system of driving, and it starts with a push button. The foldable handles offer compact storage. Front wheels are 7 inches in diameter, and rear ones are of 10 inches. This is a safe investment as the product is backed by 4 years of tool warranty. However, the extension cord is not included. Greenworks lawn mower has sharp enough blades to cut through the thick and long grass. The mower is efficient, easy to use and does not produce any emission. Greenworks Amp Corded lawn mower uses 9 ampere motor for delivering enough power to cut even the fairly thick grass. The deck is 14 inches and is lightweight and versatile. It has five different height positions. These range from 5/8 inch to 2-5/8 inch. The mower is ideal for any size and shape of lawn. Front wheels are 6 inches, and the rear wheel is 7 inch, which offers easy maneuvering. This mower isn’t ideal for large lawns. Even for small to medium lawns, you’ll need to invest in an extension cord. Having to deal with the cord is an added hassle, but that’s the only downside of this mower. It’s quieter, it doesn’t vibrate much and much easier to start. Sun Joe Cordless Lawnmower has no cords for pulling. Brushless motor is very powerful as it increases the efficiency of battery and maximizes the performance of the motor. The design is compact and ideal for the small to medium sized lawn. It comes with a discharge chute for mulching and a bag. The mower can be adjusted at six different height positions between 1.18 and 3.15 inch. The machine is ETL approved and the certified from energy star. The brushless 600W motor of this mower increases motor performance, motor life, and battery efficiency. It also has a durable and sharp steel blade which makes iON16LM mows and cuts with precision. 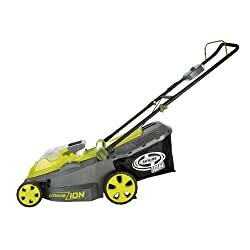 If you are looking for a lawnmower that helps you in getting the job done quickly, Yard Machines Push mower is an ideal choice. Its durable and powerful 1400cc OHV engine along with 20’ inch side cutting deck can get the job done in minutes. Big jobs can become easy due to Remington Lawn mower’s powerful engine that can cut the toughest and tallest grass and weeds. But that’s not even its biggest selling point. It’s the unique design! You can use this compact size mower into hard to reach areas which others mowers can’t. that’s why it’s called a trimmer lawn mower. Cutting diameter of 22 inches makes it easier to cut the grass of corners. It is equipped with 159cc OHV machine engine that makes mowing outsized yard a breeze. The design of the caster wheel offers maneuverability for the efficient and easier cut. The deck offers premium quality of mulching. WORX mower bags, mulches, and sides discharge the grass. Its efficient carter wheel designs offer maximum maneuverability which helps in efficient and easy grass cutting. It is one of the best lawn mowers under $300 that offers maximum mulching. Husqvarna 21 Push lawn mower comes with three cutting systems which include mulch, collect and side discharge. The mower has double ball-bearing wheels that ensure smooth functioning and effortless mowing. You can adjust it to 9 different positions for height for keeping the desired height of your grass. Ideal for small yards, Black Decker MTE912, comes with automatic feed function that helps in continuous work without bumping. It has gear drive transmission that avoids bogging down. 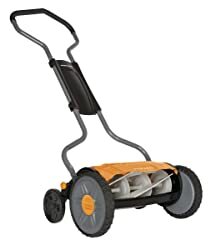 Black Decker mower has a 6.5-Amp motor that offers maximum performance. The cutting height is 1.6 -2.4 inches. It works as a lawn mower, edger, and string trimmer. 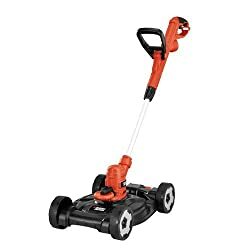 3-N-1 trimmer/edger and mower of BLACK+DECKER provides three different kinds of landscaping with the use of a compact tool. 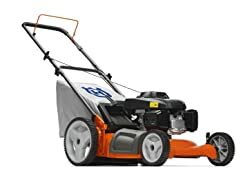 As mentioned earlier, you can find mowers that cost as much as $5500, but unless you’re a professional or have a ridiculously large lawn, you should be able to find a good mower for under $300. The size and layout of your lawn will dictate your ideal mower. Self-propelled mowers are ideal for medium to large lawns. On the flip, push mowers are ideal for smaller lawns. A medium sized lawn can accommodate any type of mower. Flat lawns need comparatively less effort while you should consider a powered mower for a lawn with slopes. Reel mowers are very versatile and allow you to work on sloped lawns as well as curved ones. An electric mower is ideal for medium sized lawn and is also a greener solution. Corded mowers are restricted to smaller areas, but mowers with batteries can have downtime when you need to charge the battery. A gas mower works best if you have a big lawn. Mulching is a great way 3to fertilize your lawn naturally. But if you’re mowing after a while, you might want to bag the taller grass and avoid the mess. Always consider well-known manufacturers. While unknown vendors may offer cheaper options, but you’ll get what you pay for. In other words, your product might not last long enough or won’t offer the optimal work. 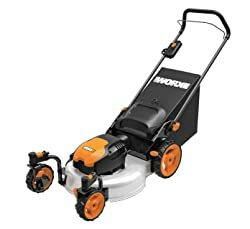 And why consider a cheap vendor when you can get the best lawn mowers under $300 from many of the best manufacturers out there?